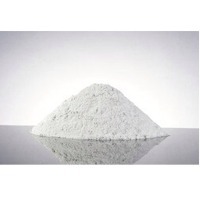 Browse kaolin suppliers by country and region. Kaolin: Kaolin uses are multiple and diverse. Kaolin are used as functional filler, extender, ceramic raw material and pigment because of its whiteness and fine particle size. Kaolin also hold importance as raw material in refractory applications, concrete, rubber and fiber glass manufacturing. We, as a Kaolin Exporter welcome any size of international orders from Middle East and other countries. Applications: Paper: Kaolin used as a coating pigment and as a filler to replace fiber. It possesses desirable optical properties. Concrete: Kaolin helps to improve strength and durability of concrete. When added to concrete mix, reacts with free lime released during cement hydration to produce additional cementitious material, resulting in an improved high performance concrete. Plastics : Kaolin is widely used as filler in the plastics industry because of its inert chemical nature and its unique size, shape and structure. Agriculture : It is used as a carrier and diluent in fertilizers, pesticides and related products. It is suitable as carrier because it aides the retention of the formulations on the plant. Rubber : It is commonly used as functional filler in rubber applications. While Kaolin improves overall performance for Rubber in general, different types of white pigment play specific roles in rubber application. Paint : Kaolin used as an extender in paints. It reduces the amount of expensive pigment such as Titanium Dioxide. It assists with desirable rheological properties that help maintain proper dispersion and provide bulk to the product. Ceramic : Kaolin improves whiteness and brightness of ceramic body. Good plasticity, good shrinkage, low water absorption and casting rate are also very important properties of kaolin. We offer a wide range of high-quality Kaolin Powder at economical rates in the market. Being one of the reliable exporters and suppliers, the product, offered by us, is uniquely designed and guarantees longer shelf life. While our range of product is safe to use, clients can purchase it at moderate rates in the market. We package these products safely and ensure speedy delivery to the clients. We are based in Egypt, Cairo. Short on time? Let kaolin sellers contact you. Kaolin also called china clay, is an industrial clay mineral, which is generally used for its whiteness along with other properties. It is an essential ingredient in the manufacturing of porcelain, white-wares, paper, paint, and different types of tiles. 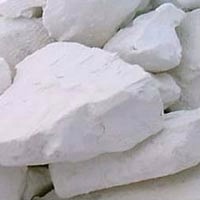 Hariom Minechem offer more than 8 grades of kaolin, which is extracted from 3 different mining locations in India. On the other hand, Hariom Minechem also has a range of imported kaolins from various sources around the globe. The company is also the only authorised of the famous Iran China Clay company. We give immense attention to the quality of production of kaolin, in order to remove impurities and preserve its qualities, for which it is used for. Following characteristics can be found in our kaolin: Exceptional fired whiteness High casting rate Good unfired strength Low residue Feel Free to contact us for best quote. Our company is in the business of processing chinaclay / kaolin. Based in bhuj of kutch district, gujarat state of india located on west coast, proximity to kandla & mundra port. We process for different application based on the requirement of end user & as per the specification provided by customers, we process for application such as, Raw kaolin - White cement & ceramics Water washed chinaclay / kaolin - Ceramics, pesticides, paper, paint, rubber, vitrified tiles, detergent, cosmetic & others. Material is being tested at our established principal lab at various stages right from incoming to process & till dispatched. To ensure product meets & surpass all quality parameters has complete infrastructure & competent to customized the grade. As a company, we offer products that are of the highest standard at at extremely competitive rates. 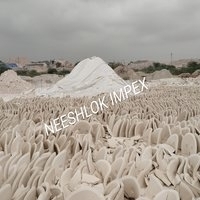 Silica sand, gravel, pebbles, palm trees, fruits, decoration pebbles, limestone, anthracite filter media, silica sand, quartz ore, kaolin, dolomite, Red Iron Oxide, Aggregate, Silica Flour, Calcium carbonate. 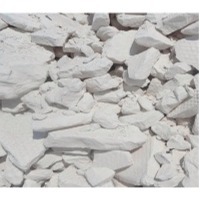 Items : Kaolin clay for ceramics Specifications: 1. High whiteness 2. Fine particles 3. Good performance 4. Competitve price Properties and Application: Calcined Kaolin clay, The powder superfine, high whitwness, narrow size distribution, big specific surface area, high reaction activity, no hard agglomeration, high purity, good insulation, high temperature resistance, good surface brightness. Aknur Elektronik Madencilik Gida Sanayi Ve Dis Tic.Ltd. Calcium carbonate (feed grade), limestone lumps, limestone granules, limestone powder, calcium carbonate (45 micron), calcium carbonate (100 mesh), calcium carbonate (2-3 mm), limestone granules (2-3mm).